The Best Educational Leadership Blogs from thousands of Educational Leadership blogs on the web using search and social metrics. Subscribe to these websites because they are actively working to educate, inspire, and empower their readers with frequent updates and high-quality information. Educational Leadership newsletter is a comprehensive summary of the day's most important blog posts and news articles from the best Educational Leadership websites on the web, and delivered to your email inbox each morning. To subscribe, simply provide us with your email address. Cypress, TX About Blog A blog about digital leadership, pedagogy, learning, and transformative change in education. Facebook fans n/a. Twitter followers 143,798. About Blog This blog is the shared thoughts of school administrators that want to share best practices in education. All of the authors have different experiences in education but all have the same goal what is best for students. Facebook fans n/a. Twitter followers 13,040. Westchester, NY About Blog Kelly Walsh is the CIO at The College of Westchester in White Plains, NY and in this blog he shares his passion for teaching, technology and finding ways to improve learning by combing the two. This is a great blog for administrators that are interested in how technology can be effectively be used in the classroom. Facebook fans 9,621. Twitter followers 9,730. Bolivar HS, MO About Blog The @DavidGeurin Blog provides ideas and inspiration for busy educators who are committed to growth and learning. Facebook fans 418. Twitter followers 51,034. Live in PA, Work in DC About Blog Tom serves as the Director of Innovation for Future Ready Schools®, a project of the Alliance for Excellent Education, located in Washington, D.C. Murray talks about K-12 digital leadership, which included implementing a 1:1 program, BYOD, blended learning, and K-12 cyber school and much more. Facebook fans 827. Twitter followers 44,344. Hoover, Alabama About Blog A blog about education, leadership, social media, professional learning, and innovation. Facebook fans n/a. Twitter followers 21,752. Facebook fans 1,110. Twitter followers 32,239. Canada About Blog Michael Fullan, O.C., is the Global Leadership Director, New Pedagogies for Deep Learning and a worldwide authority on educational reform with a mandate of helping to achieve the moral purpose of all children learning. Facebook fans n/a. Twitter followers 48,546. Lafayette, CO About Blog Dangerously Irrelevant focuses on the leadership side of K-12 technology. This blog is all about technology, leadership, and the future of schools. Facebook fans n/a. Twitter followers 53,657. Texas About Blog Do you feel like you just can't get all the duties of being a principal accomplished each day? Or maybe you're interested in being a principal? I'm here to help. This is a community for educational leader to share their views and opinions for overall development of schools. Facebook fans 11,937. Twitter followers 2,305. Facebook fans 1,090. Twitter followers 5,644. 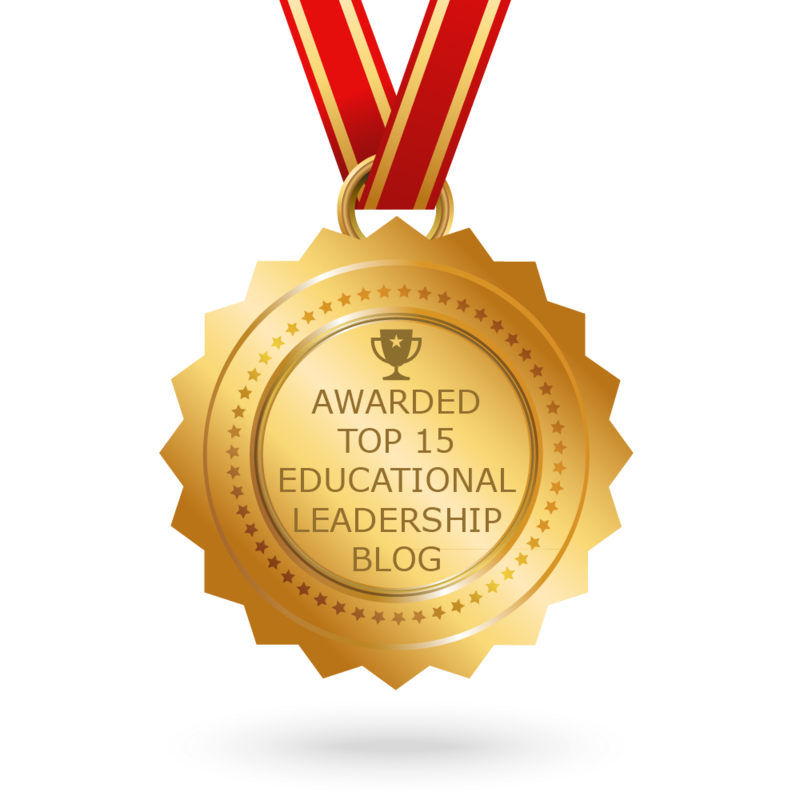 CONGRATULATIONS to every blogger that has made this Top Educational Leadership Blogs list! This is the most comprehensive list of best Educational Leadership blogs on the internet and I’m honoured to have you as part of this! I personally give you a high-five and want to thank you for your contribution to this world.